These overall food concerns and enhanced awareness are additional strong motivating reasons for F&B brands to work towards creating a healthier environment. With the dominating influence of western food through Quick Service Restaurant (QSR) over the rest of the world, the culinary scene in India has also evolved immensely with American trends. From hearty to unhealthy, western food is now generally categorised as junk food because of its high sugar, carb and fat content which has deteriorated India’s overall health with diseases like obesity, chronic heart illnesses and diabetes emerging at an alarming rate throughout the population within the last few decades. QSR essentially mass-produces food with the aim of speedy service. In the traditional preparation process of QSR food, its nutrition is secondary and thus lost so as to uphold their commitment of quick and easy service. A once-in-a-blue-moon food outing to a QSR poses no health risks to individuals. However, Indians eat in fast food restaurants more than twice a week, owing to a growingly busy lifestyle that is being adopted by people, especially in metropolitan cities like Delhi, Mumbai, Bangalore and Pune. QSRs thus play a significant role in consumer health, currently leading to a variety of detrimental effects. The mammoth growth in the rise and consumption of QSR food has been witnessed among young children, millennial and some adults. These trends are not just impacting consumers physically but also have a significant role to play in inculcating a sluggish behaviour and poor performance in respective fields. With the fast-paced life of big cities and percolation of urban food trends in rural areas, fast food is an established part of our food choices for its ease and delectability. Yet, it has become a food type that now has negative health connotations, when it should be the kind of food that we enjoy worry-free. Fast food needs to be slowly redefined with an emphasis on nutrition to meet advocated healthy standards. In addition, with the growing millennial segment that is extremely mindful of the kind of food they consume, food is no longer just food. It is an overall experience that they want to consciously indulge in. Millennials – the most informed generation so far on global trends as well as the most daring group willing to discover new cultural foods – demand not only for the food to be appealing to all senses and healthy, with options like organic, gluten-free, dairy-free and unprocessed dishes that contain no chemical additives or preservatives but for the food to also be ethically produced, using range-free and grass-fed ingredients. These overall food concerns and enhanced awareness are additional strong motivating reasons for F&B brands to work towards creating a healthier environment.They have led to, in the last couple of years,certain international and national food chains trying to change the paradigm by offering more nutritious alternatives. Healthier substitutes in this market reflect as exchanging our milkshakes and sodas for smoothies and juices. Such efforts in the bigger picture are trending to meet the rise of food-related diseases that have been prevalent throughout the country.With existing more nutritionally oriented leading joints retailing meals at exorbitant prices, there is a pseudo impression among the general population that healthy food is a luxury only accessible to a handful. 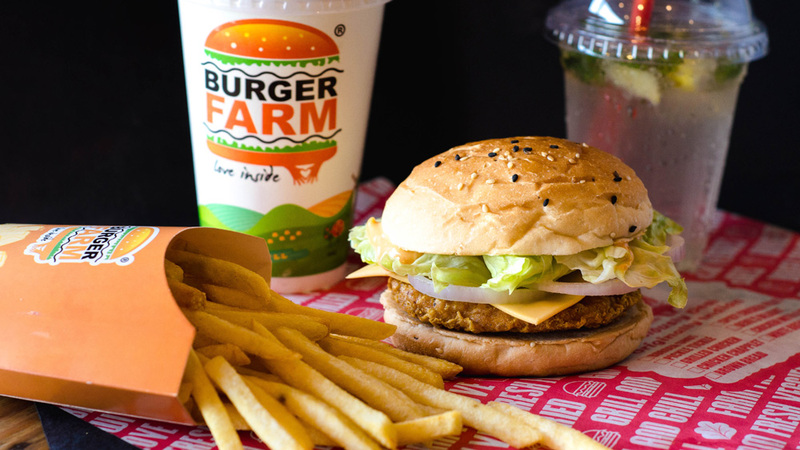 This offers an opportunity for QSR chains to change the general perception around healthy nourishment and fast food by merging the two to get the best of both worlds. With a trend of going back to our roots or 'Eat what your grandmother ate', all the pieces are laid for QSRs to create wholesome and tasty food that will turn them from commodities to sought-after staples in the daily life of the population.